Kaimig Km 45 wan, S Fr«q i32-150 MHz. Drawer LM Onhr. STO eacti MffiaJiaccessflries iarJFScwtofeisttvfin»* Si2S«cti. No other repeaters or controllers match Mark 4 in capability and features. That's why Mark 4 is the performance leader at amateur and commercial repeater sites around the world. 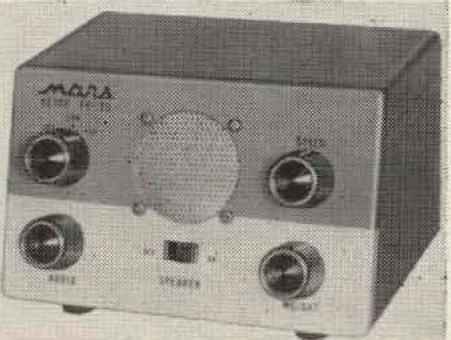 Only Mark 4 gives you Message Master tm real speech * voice readout of received signal: strength, deviation, and frequency error • 4-channel receiver voting ♦ clock time announcements and function control * 7-helical filter receiver • extensive phone patch functions. Unlike others, Mark 4 even includes power supply and a handsome cabinet. Call or write for specifications on the repeater, controller, and receiver winners. The only repeaters and controllers with REAL SPEECH!